With the financial year closing and Union Budget round the corner, Finance category advertisers are upping their marketing spends and campaign action across media. It’s interesting and refreshing to see these advertisers (who have traditionally been extremely performance driven) also execute brand and social media marketing campaigns. 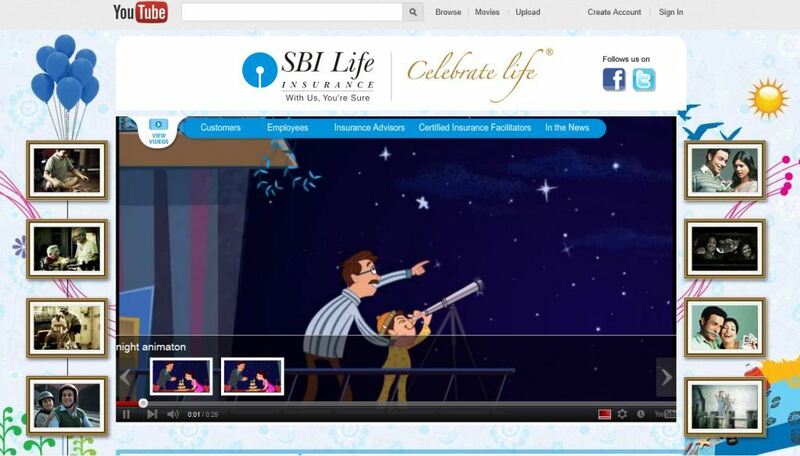 One such brand is SBI Life Insurance, whose ‘Celebrate Life’ communication is being pushed across Social Media over the last few months. 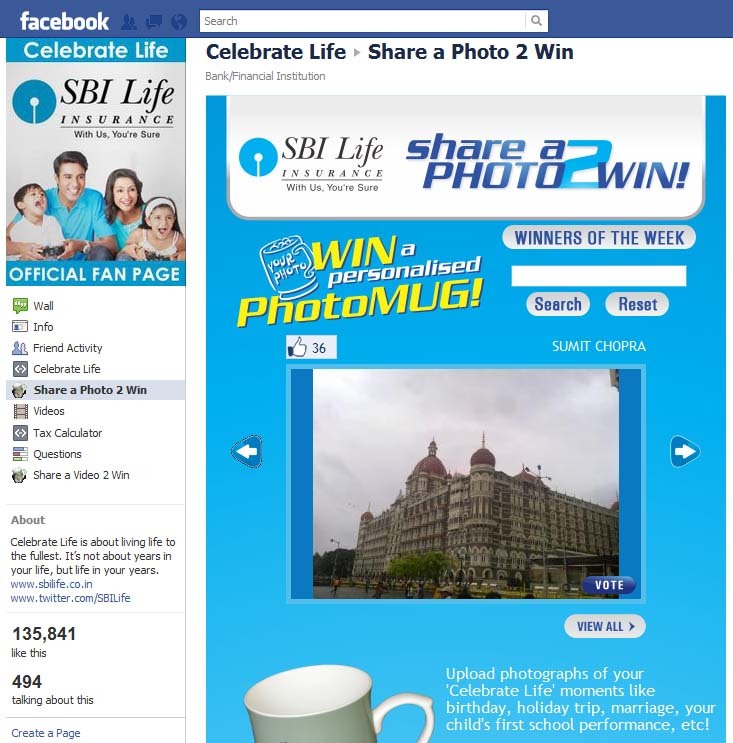 SBI Life’s brand page on Facebook has been running ‘Share a Photo’ Contest for their 135k fans where users can submit pictures of celebratory moments of their lives and garner as many votes as possible from their friends. 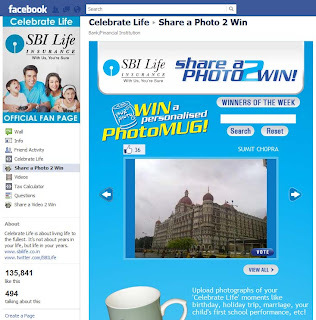 Pictures with maximum votes stand a chance to win a personalised Photo-Mug. Winners are announced religiously every week. They also have a similar ‘Share a Video’ contest which doesn’t have many takers. The Brand Page Wall serves its purpose by addressing user queries around procuring new policies and other product details. I really like the layout and execution of the Brand Channel on Youtube. The landing page starts with a couple of animated videos. The video playlist caters to consumers (TV commercials and funny viral videos), employees and insurance advisors including videos of SBI Life in the news. Really well thought out. They also executed a Home Page Masthead on Youtube with a carousel of videos earlier this week. Have you seen other interesting finance category brand campaigns? Drop me a note and I'll check them out too.